Renting-to-Own real estate in the Dominican Republic is a simple process. It is similar to a long-term rental agreement but with minor adjustments. For example, a long-term rental agreement simply states the monthly rent to be collected over a specified period of time. When renting to own, a portion of the monthly payment is specified as rent and the remainder of the payment is applied to the purchase price of the property. The main elements of the rent-to-own agreement are typically: the purchase price of the property; the amount of rent applied to the purchase price; and the total number of payments to be made. These elements will all be described in more detail below. Market Conditions that Affect Rent-to-Own Agreements? Property owners are motivated by cash flow. Depending on these conditions, terms of a rent-to-own agreement can vary. In some extreme cases, Rent-to-Own Agreements simply will not work. Each condition above is analyzed in more detail below. Condition 1 – Sales of Similar Properties are Slow or Non-Existent. In markets where sales activities of real estate properties are slow — and there are multiple properties on the market for sale — there is a good chance property owners are open to rent-to-own agreements. When sales activities are slow, many property owners are looking for alternative methods of creating cash flow to cover operating expenses. If this is the case, rental income is the most obvious choice. Most owners typically prefer short-term rentals because if a sales opportunity does arise, they don’t want to be faced with long-term obligations. However, when short-term rentals are slow to non-existent, many owners are open to long-term rental rental agreements. And this lays the foundation for a rent-to-own agreement. The reverse is also true: if sales activities are active — and there are few similar properties on the market for sale — there is a good chance property owners will not be open to rent-to-own agreements. In short, most sellers prefer all cash up front rather than receiving monthly payments over time. Rental markets are generally cyclical in nature and vary from one year to another. In most cases, rental markets are seasonal. 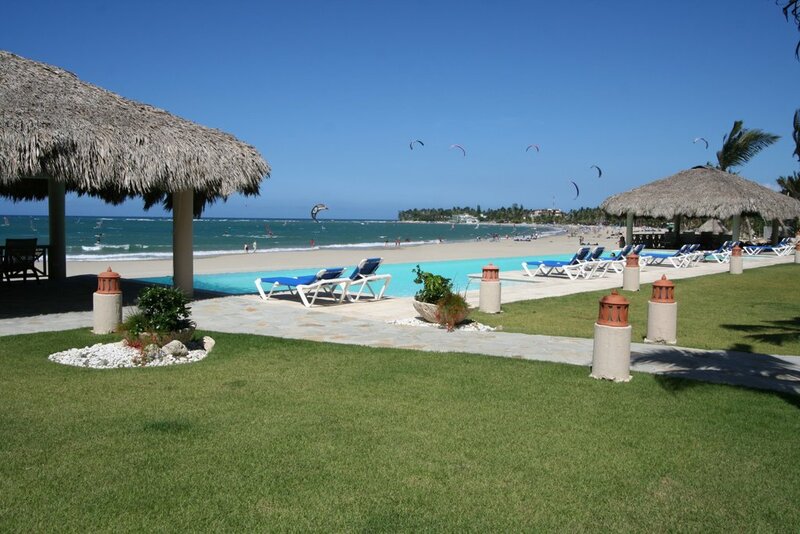 In the Dominican Republic for example, property owners are blessed with two rental seasons. The first “high” season starts in mid December and ends mid April. The second “high” season starts in mid June and ends in mid September. As a result, many property owners in the Dominican Republic prefer short-term rentals. for two reasons. First: short-term rentals in some areas can generate a greater cash flow than long-term rentals. Second: many property owners in the Dominican Republic like to use their properties for personal use — which cannot occur with long-term leases. In this scenario, it is unlikely that property owners would be interested in rent-to-own agreements. In the event that short-term rentals generate a lower annual cash flow than long-term rentals, you will see a greater ratio of long-term rentals under that scenario. If this condition exists, more property owners might be interested in looking at rent-to-own agreements. In addition to “low” short-term rental cash flows, some areas of the Dominican Republic have systemic issues of low rental results throughout the year. This may be caused by things such as: remote locations; distance from sandy beaches; distance from international airports; perception that the area is unsafe; poor infra-structure; and poor maintenance; etc. Oddly enough, this scenario could see an increase in long-term rentals because some of the negative things mentioned above are positive for other people. Stating this in a different way: “perceptions” do not always tell the true story and long-term thinkers tend to do their own research to get to the reality of things. In turn, in markets like these where long-term rental agreements are readily accepted, it is also a prime area for rent-to-own agreements. Condition 3 – Reasonable Outside Financing is Not Available. Since the amount of the down payment is generally 30%, the most important elements of the loan to consider are Interest Rate and Term of the Loan. If interest rates are low (5% to 7%), then there will be a big demand for loan applications. On the other hand, if interest rates are in the 8% to 14% range, demands for these loans may be low, and in turn, many potential buyers of real estate will be more interested in a rent-to-own option. This is especially true if the 30% down payment is an issue. By the same token, if interest rates charged by the bank are high, sellers might be more open to a rent-to-own option. This is because higher interest rates in the area may help the owner in the pro-ration of each rental payment. In other words, higher market interest rates might mean more of each rental payment is applied to rent and less to the purchase price. The most important thing to remember in a rent-to-own agreement is that it must produce a benefit to both parties of the agreement. Using the interest rate scenario above, higher amounts of the rental payments being applied to rent (and not to the purchase of the property) may be what is needed for a property owner to even look at a rent-to-own agreement. As you will see from the additional information below, there is a pendulum that swings back and forth and may mean the success or failure of an owner accepting an offer of renting-to-own. Condition 4 – Property Owners are Motivated by Cash Flow. Property owners invest in real estate in the Dominican Republic for two main reasons: PERSONAL USE and/or CASH FLOW. Some owners would never think about renting out their prize possession in the Dominican Republic because they don’t want strangers inside their property. For now, we do not see these owners as prime prospects for rent-to-own agreements. So let’s focus on CASH FLOW. Any property owner who purchases a property as an investment is serious about cash flows. From a classical perspective, cash flows are generated by net annual and net proceeds on eventual resale. For now, we will focus on Net Operating Income (NOI) on an annual basis. Depending on personal use objectives, a decision is first made on receiving short-or long-term rentals. As stated above, if personal use is a factor, then short-term rentals are the best way to go. 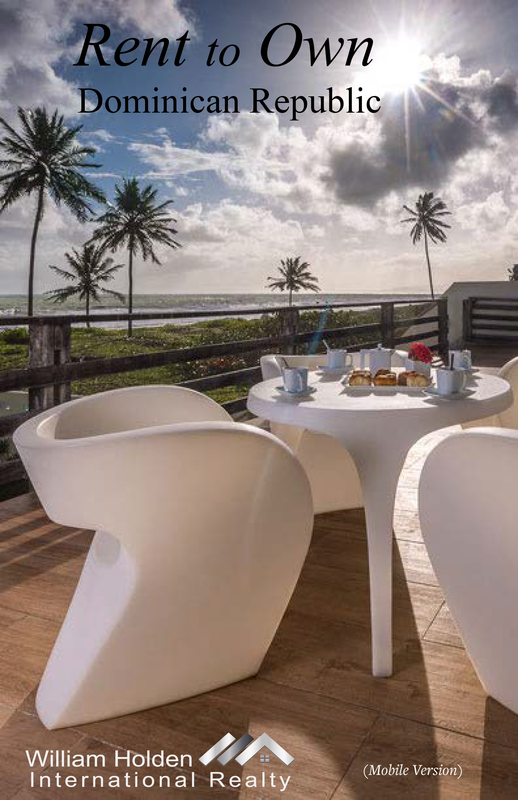 In the event personal use of a second home in the Dominican Republic is not a factor, an analysis must then be done to determine whether short-term or long-term rentals will generate the greatest annual cash flow. However, a flat market in either sales or rentals may lead a property owner to consider renting-to-own as a viable way to generate cash flows. And, as stated above, local interest rates may help determine if renting-to-own is a viable option for generating cash flows. Moreover, if interest rates in a local area are higher than a properties current rate of return, then property owners should consider renting to own. See the examples below for more information. Condition 5 – Local Bank Interest Rates are Higher than Property Rates of Return. Professional real estate investors often use a 10% as a target internal rate of return. However, in this scenario we are assuming a soft rental market, and as such, we will use a 5% rate of return for the analysis. Let’s also assume a $100,000 value of the real estate investment. This analysis assumes a bank loan of $100,000 at an interest rate of 8% for a term of 30 years, paid monthly. Based on this, the monthly payments would be as follows. So let’s put all of this into perspective. From the property owner’s point of view, the slow rental market generates only $417 a month in rental revenue. However, with the rent-to-own scenario, the cash flow would increase to $734 per month. One would assume this would be interesting to many property owners. But what about the renter-buyer? Would this work for him or her? It is true that the purchase payments would be higher than simply renting the property. But, we are assuming a soft market for sales, which may in turn mean depressed values. This means a potential increase in future value of the property. Moreover, this scenario assumes a zero down payment, which could be of great value to a potential buyer. So, the concept seems to work for both parties of the agreement which is the goal of most transactions. The Request More Information form to the right summarizes preferred elements of a rent-to-own agreement to see if a match can be made with owner objectives. If a middle-ground cannot be reached, the information may be presented to other owners to see if renter-buyer objectives can be reached on a similar property. Please use this form to request a FREE Booklet on Renting-to-Own in the Dominican Republic. This booklet gives a great overview of the process, and in addition, contains more detailed information.